Visit 7EaglePointeLane.com for a video tour! 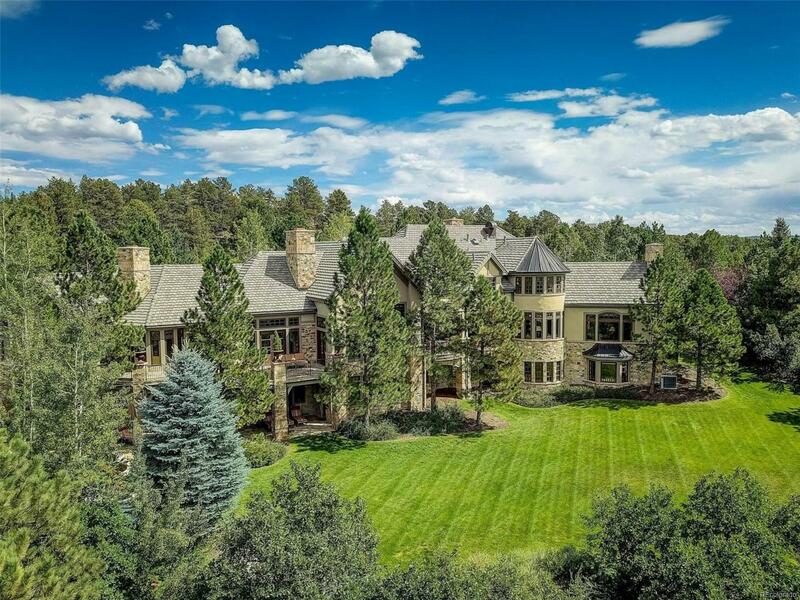 Once in a lifetime opportunity to own Eagles Nest, one of the most important estates in Douglas County. At an original cost of over $12M, this incredible estate was created with no expense spared. The timeless craftsmanship exudes Old World workmanship with very special features from Tibetan columns to centuries old French fireplaces to antique gates and stone columns. This private mountain resort must be experienced to fully appreciate the magnitude. The spectacular kitchen is designed for large groups as this home is the premier trophy home for entertaining. Host outside on the incredible back patios with the entire Front Range as your backdrop or in the grotto pool with tranquil water feature. Each outdoor space features its own special ambiance. End the evening in the Old World Cigar room and three distinct wine cellars with ancient wood beams and columns. Truly a special property. Call Today for an experience in true luxury.